My daughter is entering that stage of independence often known as the "I Can Do It Myself" stage. She thinks that she can do things alone and she tries, though she often fails miserably and then the tears come; frustration and anger follow with her lashing out when she finds that she can't do it on her own and needs my assistance. Of course, I am happy to jump in when she needs it, helping to get her past those rough parts just feels right as a dad. We have been preparing for moments like this with our children ever since they were born. Sometimes, you just can't do it alone. All too often we think that we can't possibly ask for more than just words but truly all it takes is to ask. It sounds easy though it is hard. We want to do it on our own and not be a burden to others. We want to prove that we can do it alone and that stigma may hold us back from being helped. Help may manifest itself in many ways whether it be a gesture, a donation, your time, or your heart. I would do the same for a friend or family member but also a stranger who was in trouble. I think of all the times people have helped each other in our world when things have gone terrible wrong. It's a lesson my kids have learned from us that no matter what you have, you should be able to give some of it to others and lift them up. People united can be powerful. 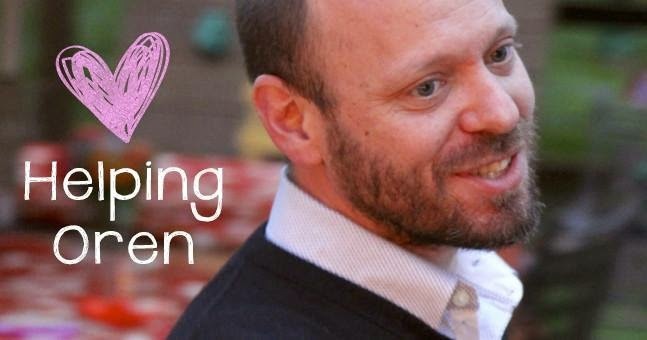 So when my friend and fellow SAHD, Oren Miller was recently diagnosed with Stage 4 lung cancer I was devastated. I read his beautiful post about his diagnosis and what he was feeling. I couldn't help but think What if it was me? What would I be able to do for my kids and my wife? I couldn't sit by and watch it happen. I didn't want to be a bystander, so I looked for any opportunity to help him in any way that I could. 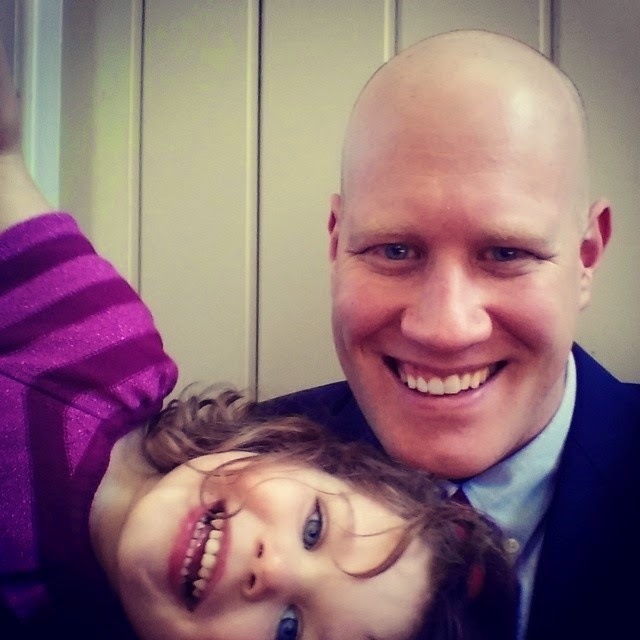 Myself and other Dad Bloggers reached out our hands to help and united in the cause #Dads4Oren. Oren's page on GiveForward.com was started by Brent Almond, another blogger, and by the time I made it to the page, the $5,000 goal had jumped up to 10K, then 20K, and now is sitting at a little over $26,000! That's the power of people. 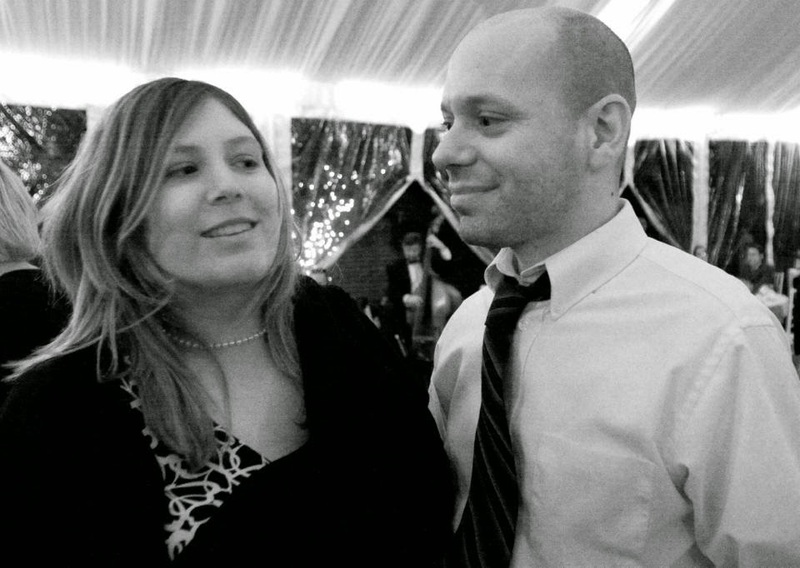 Oren and his wife Beth, plan to use the money for medical expenses, to put some aside for their two children, Liam and Madeline, and to go on a vacation together for some much needed family time. So, if you can find it in your heart to donate to Oren, this is your chance to show this world just how powerful we can be, together. Did you know that studies has shown that children do better in school if they have a curriculum that invests in the arts as a way to support their learning? Common Core curriculum supports this idea that creativity and critical thinking go hand in hand. Teaching your kids to be creative will help them to become better problem solvers by supporting critical thinking and outside the box solutions to problems. 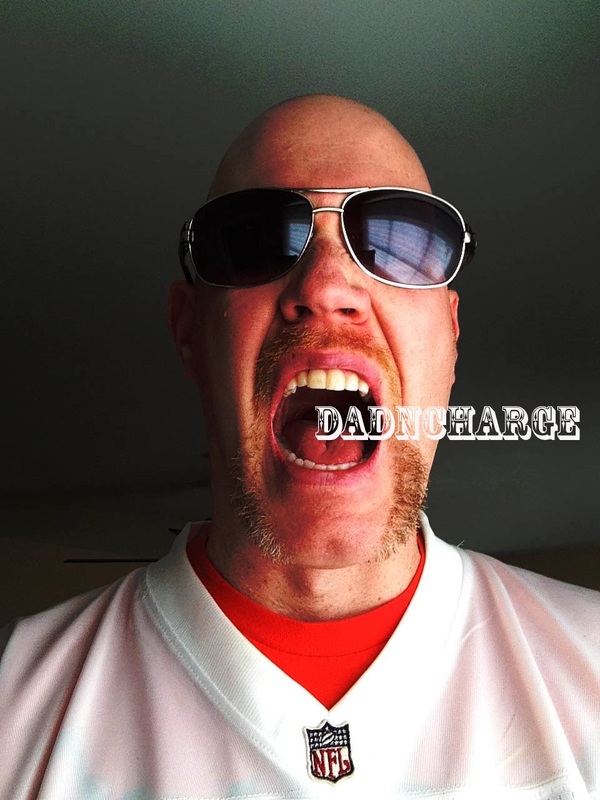 Art Attack is a new feature of DadNCharge where I will share my knowledge of an art educator of 10 years in fun and informative projects for kids. The NAEA (National Arts Education Association) and the United States government have set National Standards for children K-12 in the visual arts. By the time children graduate from high school they should be able to demonstrate and have an understanding of these benchmarks. With each lesson, I will teach you how these apply to your own children's understanding of visual art even if for them, it is just all about fun. So, without further ado, our first project, BATIK! Batik is a cool effect that happens when a medium, in this case wax, resists another medium like paint or ink. The wax is applied and allowed to dry, allowing the wax to penetrate the fabric and protecting it. Then, the material is dyed and the ink fills in all the areas where the wax isn't. Once dried, the wax can be removed by either scraping it off or using boiling water to remove it. But how can I do this with my kids??? There is no way I am giving them hot wax! What colorful material do you have already in your home that are made out of wax? CRAYONS! Take the watercolor paper and have your kids do a crazy design on the front. If you need some art history inspiration, try Joan Miro or Wassily Kandinsky. Shapes and lines are important and a necessary stage in the development of artistic skills. Stress leaving some white space in between the bright colors and tell them to push down very hard. Take watercolors and paint over the entire design. Yes, you heard me right. The wax will resist the paint and only be absorbed where the white paper is left. The kids can go bananas with the paint, in fact, the more they do, the better off the project will be as the colors will somewhat mix in the next step. Optional Step: Let it dry and then rinse off the bowl of water. As you are rinsing, scrunch up the paper to give it some texture, and gently squeeze out the water. Let dry on a paper towel. The sounds that came from the basement were mesmerizing. The constant whirr and buzz of saws like a swarm of angry bees, the hammering of metal on wood upon unseen projects. The smell of fresh cut wood and developing chemicals, the traces of sawdust from their shoes when they walked up the long wooden steps. The clunk, clunk, clunk of my grandfather's shoes up those creaky wooden stairs and me, straining, laying in the entryway trying to peek under the basement door just for glimpse of what was happening beyond my sight. I remember this place so well. I can smell the tobacco of my Grandpa's pipe and my Grandma cooking hamburgers in the kitchen. I am trying to drown out the sizzle so I can hear what is happening down those stairs. Just what is in store for me down there? My grandfather had a knack for making the ordinary seem so extraordinary. Just the chance to ride the lawn tractor while riding on his lap still seems better than any roller coaster or ride I have ever been on. Venturing into his basement was the only exception, nothing could outdo the mystery behind the basement. 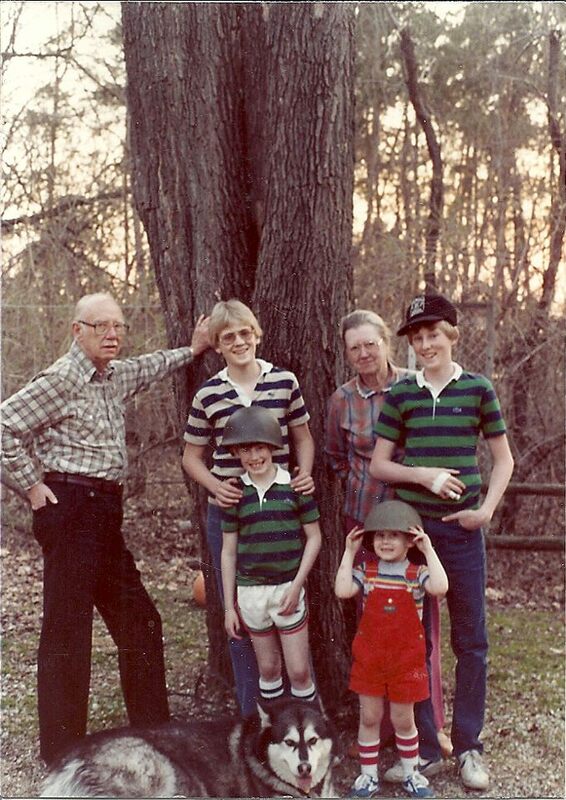 My grandfather was a do-it-yourself Willy Wonka. He was the Picasso of jigsaws , my own personal Ansel Adams and the Aristotle of teachers all rolled into one. You see, you had to be a certain age to explore the basement and being old enough to go down there was a rite of passage. 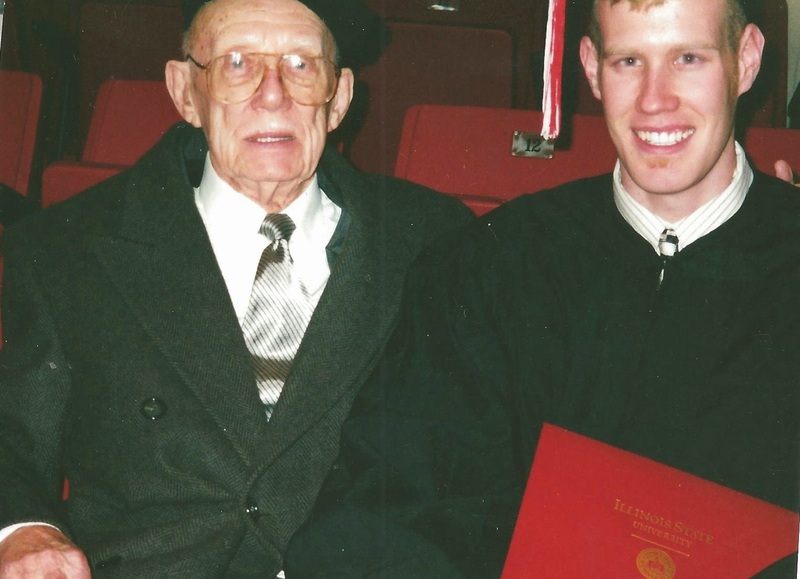 You became a different level of boy in my Gramps' eyes. His basement was a wondrous place for me as a child. 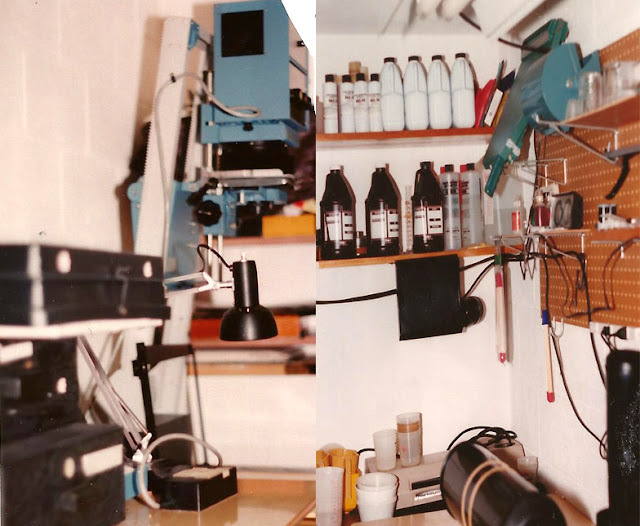 It was a place where I was first introduced to a band saw, the first place I held a BB gun, and it was the first place I ever developed a photograph. Well, technically, it was a color photogram, a photograph created by light travelling through a colored object forever burning itself to the chemistry of color paper. I was very young when I made it. 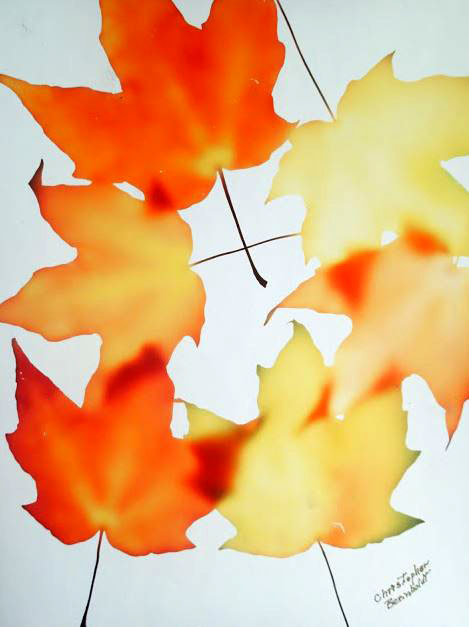 I still have it sitting on our mantle, the oranges and yellows autumn from fallen maple leaves fresh from Grandma's front yard garden forever imprisoned in the Kodak Cibachrome paper my Gramps kept in supply. I remember gathering them with her while she encouraged me to hurry and scooted me up the gravel driveway headed for my first time through the basement door. He let me learn by doing. He was always patient even when I made a critical mistake. I think that it almost delighted him because it meant I could learn something new and then he would make me do it all over again. He never brushed me aside and did it himself. The last time I usually did something, he just stood back and watched. My grandfather was a chemist by profession but he was an amazing artist. 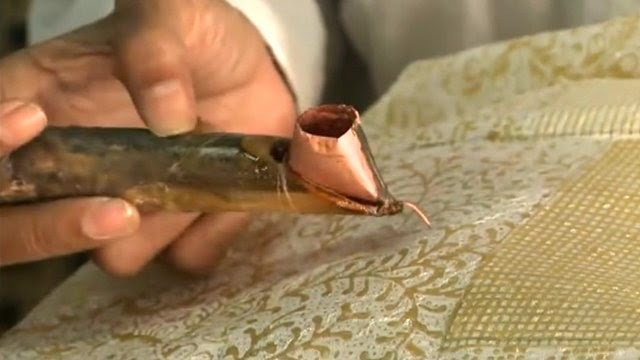 He created pictures out of different kinds of wood grain, called marquetry, to create realistic representations of people like Abraham Lincoln and Jesus. On the side, as a hobby initially, he took photographs. When he retired he became a professional photographer in Madison, Wisconsin and traveled all over selling his photos. He used to take us with him sometimes, in the giant black Dodge van, lugging chests of framed photos he all did himself and setting up his wire displays one section at a time well into his late seventies. Travelling with my grandparents was always an adventure as Gramps couldn't hear and Grandma couldn't see. "Vernon, you aren't going the right way" she would say. I'm not sure if he pretended not to hear her or really couldn't but often responded with a "Huh?" He took us fishing and sometimes we just drove with Grandma, listening to her tell us every fact about Wisconsin she could hold in that amazing brain of hers while Grandpa just nodded and interjected with a "Yup." They found roadside ice cream shops and quiet fishing holes where we could just be together. That is was what was important to them. He kept every letter that my brother and I wrote to him, proudly displaying it on his wall in his photo lab in the basement. I used to walk past this one letter he kept up there since I was eight. I had written it with one of those pens that has every color as an option to change inks. And had sent a photo of a boy and his grandpa fishing that I had cut out of a magazine that I sent to him captioning it "This is you and me"
He could talk to anyone and everyone and had the greatest smile and laugh. When you looked into his eyes, they just twinkled with a boyish excitement. He could tell you stories and you would hang on his every word. At night when the house was still, sometimes I couldn't sleep because of the anticipation of spending another day with him wound me up. He wasn't about what you had but what you could make of a situation. He was about people and getting to know them and being genuine. Sometimes, when we would be in the basement together we would talk about everything I was doing. He always had a words of encouragement, never judged, and only listened. Then, in his own quiet way, would teach me a lesson without me ever knowing it. I try to apply what I have learned from Gramps down there in the basement as I am raising my own kids, hoping that the patience and teaching he taught me are passing on to them. The basement where he helped shape me from a boy to my own man still resides in my memory though Vernon is long since left this Earth. He was the perfect example of what I think a father should be; gentle but strong, wise but with a boyish curiosity, modest but giving. So this Father's Day, I want to say thank you Gramps for helping to teach me how to be a man through encouragement and support and not by doing it for me, but letting me discover that on my own that anything is possible. You and the basement revealed those doors for me and because of you, I learned to walk right through them when they opened. "I just got an email from a TODAY Show producer. They want to know if they could come and record a day in my life as a stay at home dad" I said to my wife one evening. She looked at me like I was kidding and said "Oh yeah? How do you feel about that?" I said "I think I want to do it. 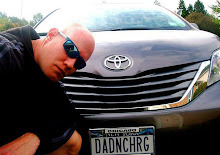 It's a great opportunity to share what stay at home dads go through everyday and you know with me, it will be real"
"Yeah, she said, I'l like to see what happens during the day, I'd watch that"
The emails followed from the producer of the segment, Josh Weiner, who told me that he wanted to follow me for a day and record what goes on with my life as a stay at home dad. 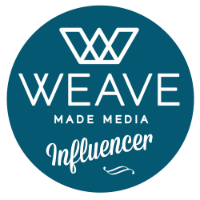 I agreed, and found out quickly through my network of dads, that two other guys were also going to be followed including Pat Jacobs of JustADad247 and Mike Heenan of AtHomeDadMatters and Frank Lowe of Gay At Home Dad . The segment, which aired Thursday, June 12th at 830am was part of the TODAY Show's Modern Dads series the week leading up to Father's Day. I told my kids what was going on, as much as you can explain to a three and six year old about what is about to happen. "We're going to be on TV AGAIN?" is what Sarah (6) said. I had appeared on the local news about a consignment sale that the Philly Dads Group was participating in and was interviewed while they circled my legs. 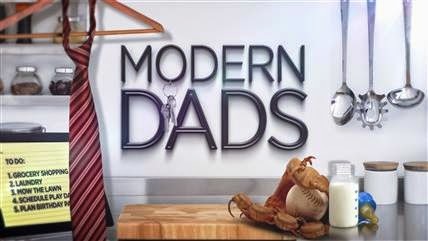 Kids, as we all know, say whatever is on their minds so we didn't know just how ready NBC was for our kids but we wanted to share just what it meant for SAHDs to be Modern Dads. 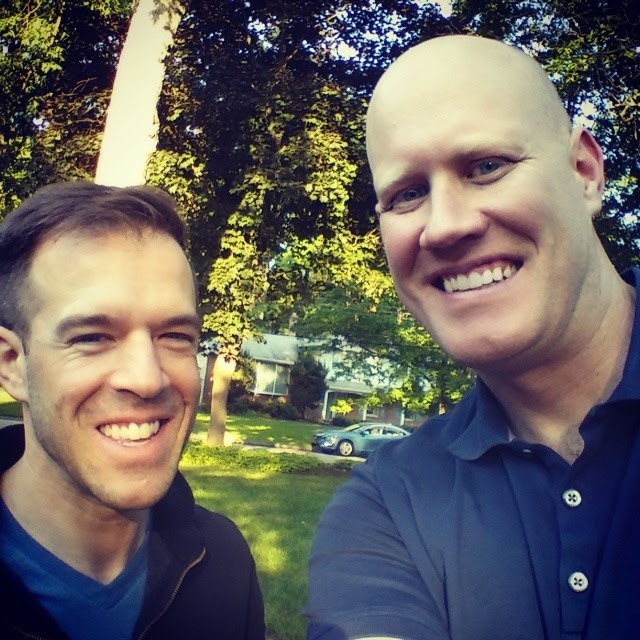 Josh was slated to arrive at 8am but because of traffic through Philadelphia, arrived in our neighborhood at 8:23 as we were headed to the bus stop to drop off my oldest son, Adam. "Are you the camera guy who is supposed to be recording us today?" she asked. "Yes I am. It is very nice to meet you." he replied. "You're late." she fired back. Welcome to a glimpse into the stay at home dad life, TODAY show! We started the day dropping Adam off on the bus and Josh shadowed us the whole time. We started the day off by heading to The Play Cafe, a local indoor play place for kids 0-5 years old. They usually aren't open on Mondays but my friend and owner, Lauren Ainsworth opened it up just for Philly Dads Group. We had a great playgroup that morning and we had ten dads and their kids show up that day. One member even drove in from Jersey to hang with us! After the playgroup, we headed home getting shots of us coming out, then a shot of us walking to the car. Sarah kept asking "Why do we have to stand here? Why can't we just go?" and then the unscripted awesomeness of tired kids in the backseat ready for some lunch. Running late from the playgroup, I had planned ahead and made the girls' lunch just in case. But running behind lead to an impromptu picnic in the back of the minivan. After lunch, we dropped off Sarah at school and he captured the goodbye. We headed home with just Heidi and I and did our normal daytime routine, play, play, and more play. After she got tired of Barbies, we worked on prepping dinner for the night which is something I do to get the kids involved. The producer, Josh as we sat on the couch said "Wow, you really don't get much downtime do you?" After school was the usual schedule, helping kids with their homework and reminding them of their chores before mom came home and we ate dinner together. Though I was mentally and physically exhausted at the end of the day, I felt it was really important to get the word out about how much as changed with dads and their roles as caregivers in society today. 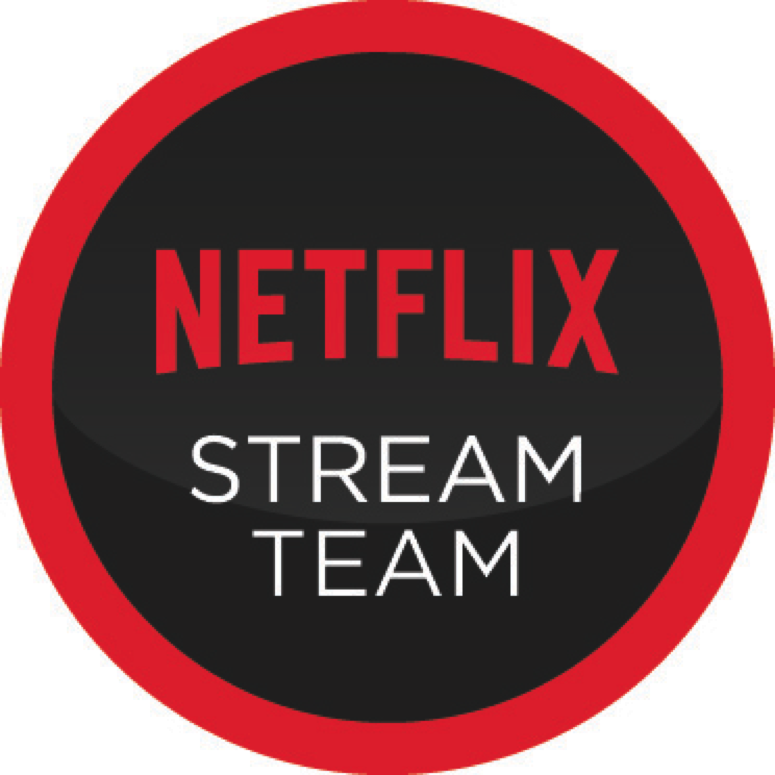 With 2 million stay at home dads out there and this number rising, I felt we needed to be represented in a positive light so that the rest of society can catch up. Thank you to the TODAY Show and the CityDads organizers, Lance Somerfeld and Matt Schneider who helped make it all possible. 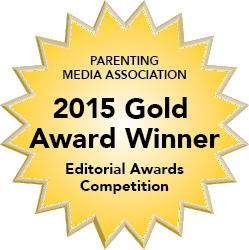 We hope you enjoy our story of the Modern Stay At Home Dad. Thanks to Josh for his work on this video and for spending time with me and my family. I never get people who say "Ugh, Father's Day, what do I get my dad?" Sorry, but dads are easy compared to moms. We like so many things that don't require special sizing, we don't require it to fit a certain color scheme, ad we don't care if it doesn't "go" with the things we already have. 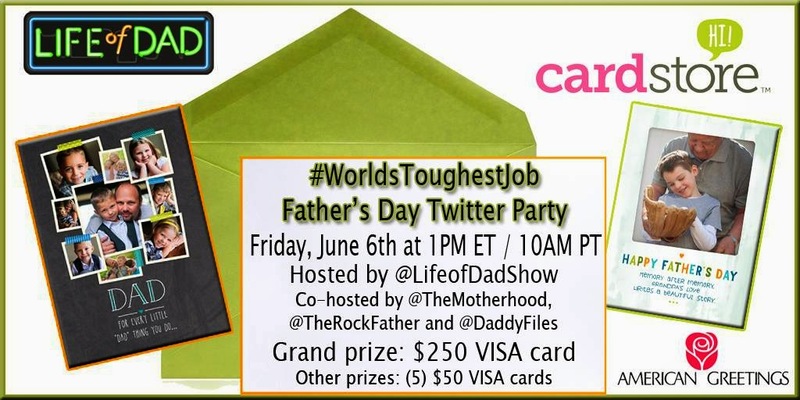 Dads are easy and Sears makes it even easier with their #DestinationDad campaign for Father's Day. 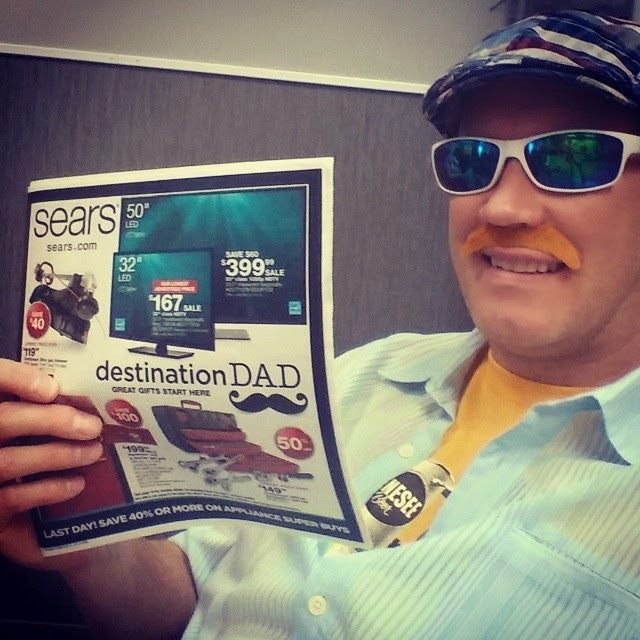 I walked into Sears today looking at all the #DestinationDad gift ideas and I walked out with a bag of stuff! Of course, I brought my style consultant with me who actually didn't want to shop anymore and insisted that she carry around a mini screwdriver that she picked out from the tool section. That is when I spotted the Craftsman 263 PC Mechanics Tool Set. If there is one thing every dad should have is a tool set that is going to fit every nut and bolt out there even when he has to build those darn Swedish furniture sets. 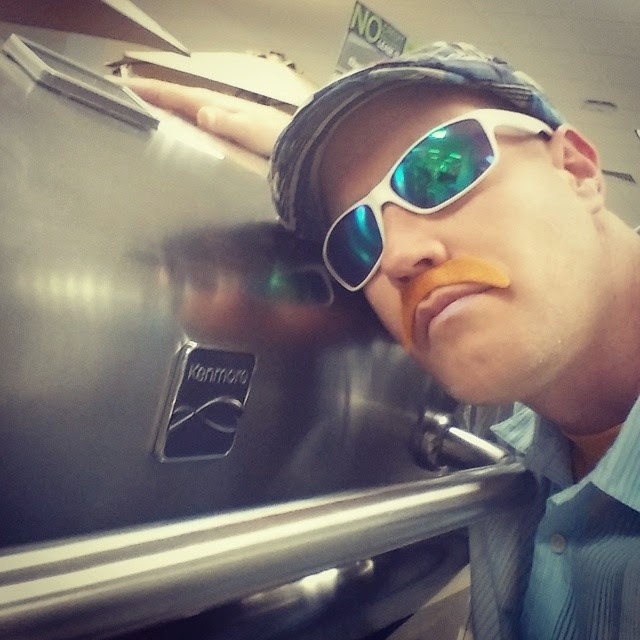 We walked on and like a mosquito drawn to a summertime bug zapper, I made a beeline for the Holy Grail of grills. That's when I fell in love with the Kenmore 4 Burner Gas Grill with Folding Side Table. This bad boy has a table the folds out from the base of the grill, providing enough room for that side of beef you want to serve up to your family. Everytime my daughter and I go to a store, she runs through the clothes section and exclaims "Oh! This is soooo cute! Can we buy this?" and starts pulling things off the rack. This outing was no exception only I told her that we were looking for clothes for Daddy this time. She picked out this Outdoor Life Men's Short-Sleeve Twill Shirt which is perfect for our summertime fishing trips in the Adirondacks. As a tall man, I have had the misfortune of having trouble finding my size in stores so I was impressed that Sears had Tall Men sizes that actually fit me! 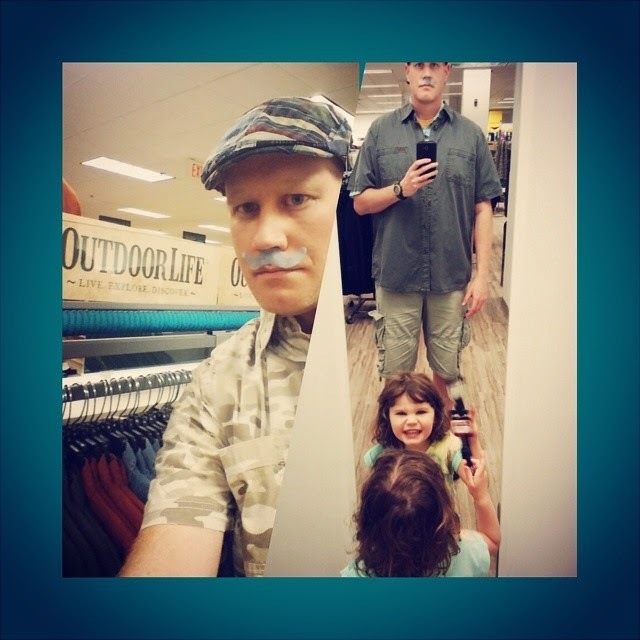 Sears wants you to honor dad this Father’s Day through “Snap Your ‘Stache” – a nationwide search for the greatest moustache. 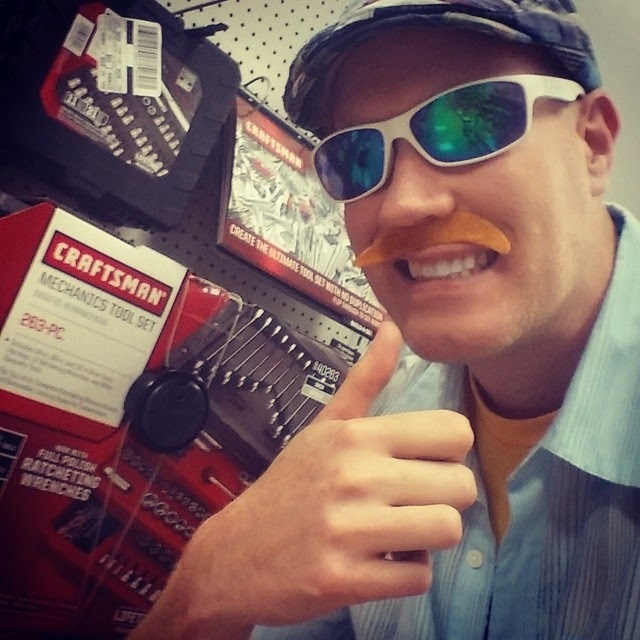 Now through June 15th, moms and kids can take a photo of dad’s moustache – or he can snap a moustache selfie – and share it at Sears.com for a chance to win the ultimate Father’s Day gift – a trip to the Craftsman MAKEcation where he’ll meet a celebrity and learn to make whiskey, roll cigars, grill steaks, and amass survival skills. Runner up prizes include other great gifts including a Craftsman Quiet Lawnmower Craftsman portable gas grill and Craftsman MACH Series tools. If you struggle from the inability to properly grow a lip squirrel, don't despair. You can still enter the contest; get creative and draw one on, use a sticker or hold something to create your best ‘stache. Plus, everyone who enters will receive $5 in Shop Your Way points to use on the perfect Father’s Day gift. Plus, Shop Your Way members can vote for their favorite moustache submission, which will enter them into a sweepstakes for 250,000 in points (a value of $250). 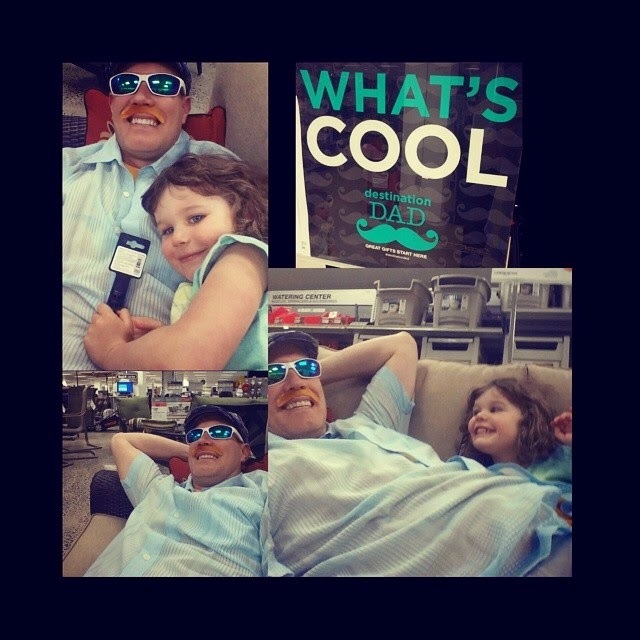 Don't delay and head to Sears, the destination for great gifts for Father’s Day, including popular brands of grills, tools, fitness equipment, consumer electronics and apparel that can be purchased in-store, online or from a phone. The dad in your life will thank you! There is something about books that can't be replaced with technology. It may be the tactile feeling of a book in your hand; turning the crisp pages of a new tome you have waited for by your favorite author or the crackle of the spine as you forge on to the best part. It could be the artwork of a cover beckoning you like a siren, the promise a journey into the unknown all shaped by the words we use in our language, juxtaposed in an infinite number of ways that challenge our minds to grasp what we have just heard and convert that to an image that we see in our heads. I have read to my children since they were in the womb so they knew my voice. Mothers get that connection right away because the child hears the mother's voice more because they are always together. The moment those baby books told me that hearing my voice was important, books became our connection. It was a way for me to let my children know that I was there and that as their dad, we could go on adventures with just my voice. Sure, technology is wonderful and advances in it have provided our children with apps and programs we never thought possible. I have seen my own children become immersed in this movement. However, when something made of paper makes your children curl up on their bed for hours or disappear right after dinner because they can't wait to read in bed, that is powerful. 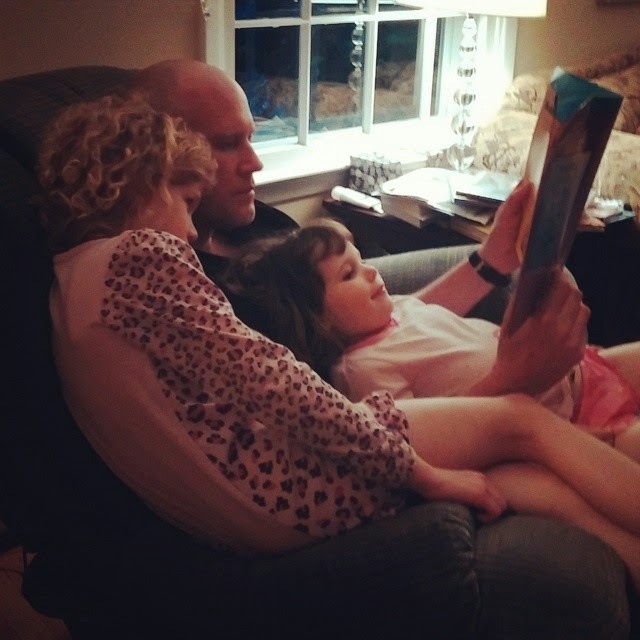 Reading to my children has become such a special thing in my life and I have seen it pay off. It has brought me closer to my children than I would have ever imagined. From volunteering to read in their classrooms on special days to attending library workshops I have seen them blossom into little readers themselves. My kids were early talkers and I would like to attribute that mostly to books. My son, now nine and in third grade, is already reading at a fourth grade level. Every year for his birthday, he is given the next book in the Harry Potter series and we read it together. I love that I am part of his journey as the story unfolds and that I get to talk to him about something we are both passionate about. It's like our own private book club. My daughter at six, is currently learning to read. We work on her sight words everyday. Those are words that are recognizable without sounding them out. Once she learns these frequent words, she will be able to read and write sentences with ease. It's never too early to teach your kids literacy. My three year old is learning letters by saying her ABCs and hearing me repeat them over and over in the books we read will help her recognize them. We treat the library like a sacred institution and to my kids, picking out new library books is akin to a treasure hunt that always ends in gold. One of the greatest things about the library and reading is that it is completely FREE! Engage your kids with books early and often. Some ways we get our kids involved is by attending storytimes at our local library and then allowing each kid to take out five books they want to read for those two weeks. During the nighttime routine, we read books every night before they go to bed. We have found that it calms them down from the day's hectic activity and quiets their minds before sleeping when so much stimulus during the day has wound them up. Unfortunately, not all dads are like me. Only 13% of dads say they are the "main reader" with their kids. That is a staggering number that needs to change. Something like reading to your child can make such a difference in their lives. It depends mostly on the behavior that we model to our children. If they see that we like reading for pleasure, so will they. If we invest in them through reading it will pay off in their education. Children whose fathers read to them are more likely to get A's on their report card, participate in sports and clubs, enjoy school, and be a year or more ahead in school! Are you the kind of dad that does silly things to make you kids laugh? Are you a dad that refuses to grow up? It's good for your kids! Staying at home has been such a blessing for me. I have witnessed so many firsts from steps, to lost teeth, to getting their first "A" on a test. It has also come with its challenges of course. With new things come uncertainty and doubt, trials and tribulations. There are many pitfalls that a parent must navigate and in my mind there is nothing worse than trying to potty train a child. My youngest is now 3 years old and people kept asking when she was going to be out of diapers. Diapers were easier and I was reluctant. To be honest, this is my baby and our last child, I took care of that a long time ago. I didn't want to move on because that meant she wasn't a baby anymore but I knew it had to be done. I took an entire week of staying home to dedicate to this undertaking. That meant no gym, no distractions, no reason to leave the house without pants on; so basically, my every day life. I tried potty games, read potty books, and tried to bribe her with a prospective Sofia the First dress to go to the bathroom in the toilet. I tweeted my frustrations and thought that it would never happen. But like many things with kids, I dug deep and decided that this Game of Thrones had to happen "We will conquer potty training with the Power of Dad!" I said. While on my knees cleaning up the last pee accident of my life as a dad, she raced past me to the bathroom and did the unthinkable, she became a big girl right before my eyes. That sort of moment is one that is always going to make you smile and we immediately captured her success on Instagram to celebrate. It's hard to describe just what it means to be a dad but Oral B captures the essence of the #PowerOfDad in their new commercial for Father's Day. Life of Dad and Oral B are joining forces to promote #ThePowerOf Dad which are those little moments that power the biggest smiles. Those smiles can get even bigger knowing that in their second year of this Father's Day program, P&G Oral Care has partnered with March of Dimes and New York Giant's quarterback, Eli Manning, his father Archie, and his daughter Ava involved as "Football's First Family" to share their moments as well. Dads can maintain those smiles and keep them healthy with Oral-B's newest and most technologically advanced power toothbrush, the Oral-B 7000 Black. This power toothbrush is equipped with a SmartGuide wireless display that gives you while-you-brush feedback to help you brush thoroughly, gently, and for the dentist recommended two minutes and accelerates to top speed faster than a race car! 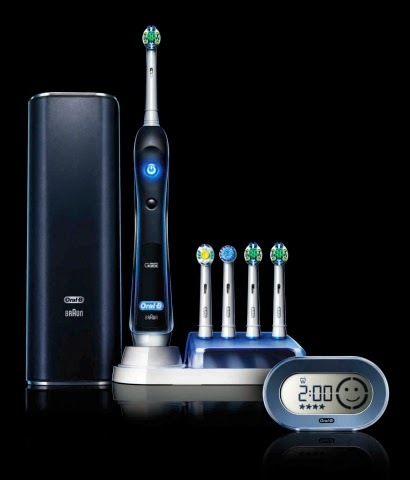 It features Oral-B's signature oscillating, rotating, and pulsating technology and provides superior tooth-by-tooth clean to remove up to two more times plaque than a regular manual toothbrush. This is a toothbrush that even Batman would be proud of and everyday heroes like the dads in your life. You can get yours with a $7 off coupon here for a dad who loves the latest gadgets, a perfect gift for Father's Day. 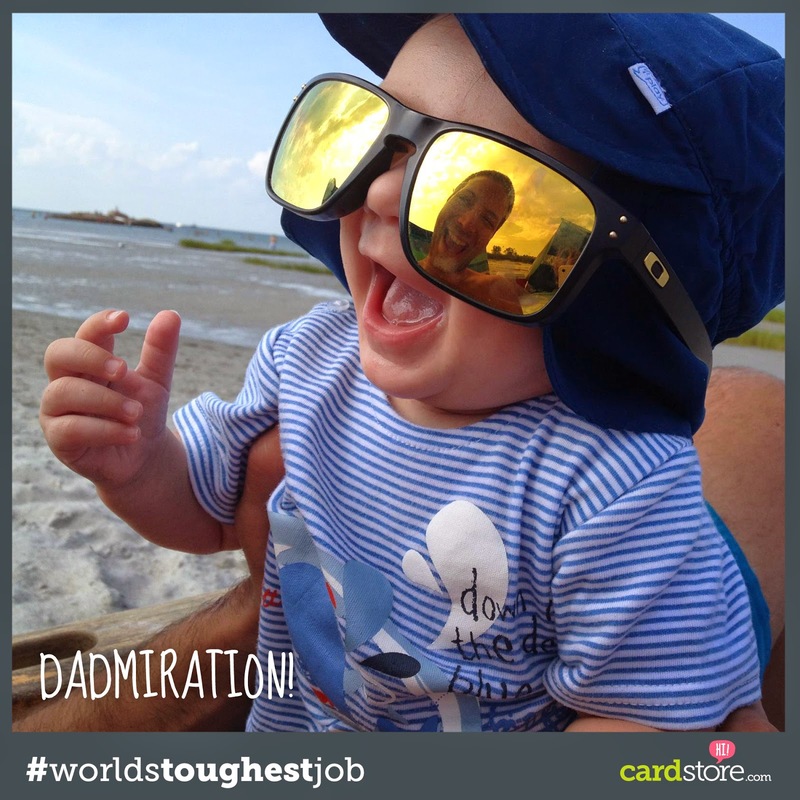 Share your favorite #PowerOfDad moments below and Happy Father's Day! Disclosure: I partnered with Oral-B and Life of Dad, LLC for the #PowerofDad Father's Day promotion and was compensated for my involvement.